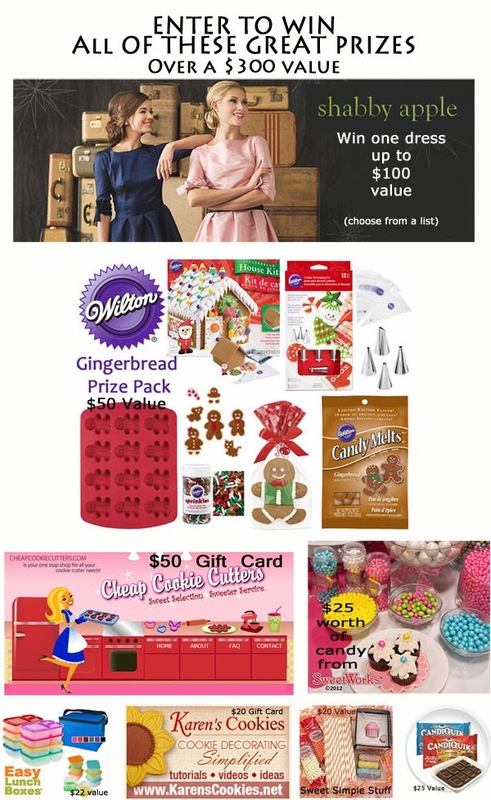 I am so excited to be participating in the group project … Give the Gift of Gingerbread … with many talented bloggers that you may already know! I’m sure that you will find some wonderful ideas and recipes and even have the chance to win a great prize! 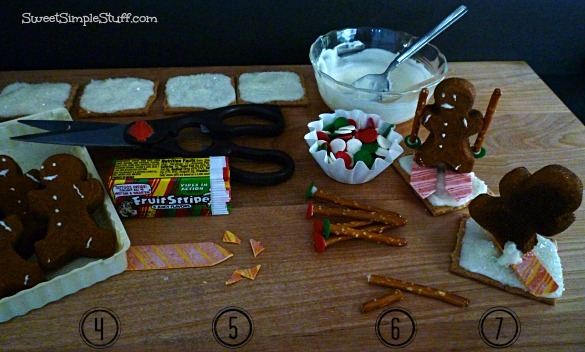 All of the info is after the directions for my Gingerbread Project! 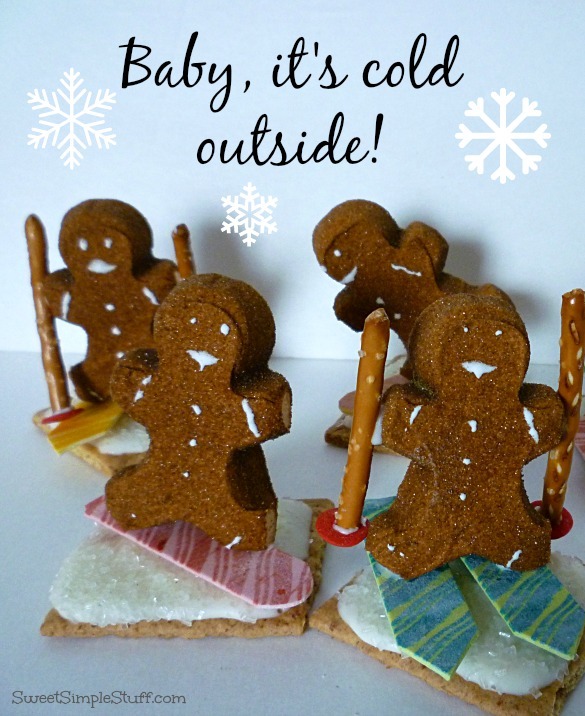 When you hear gingerbread, what do you think of … gingerbread cake, gingerbread boys or maybe Gingerbread Peeps? These Peeps jumped right into my grocery cart … OK, I helped a little. It was decided … they were going home with me! 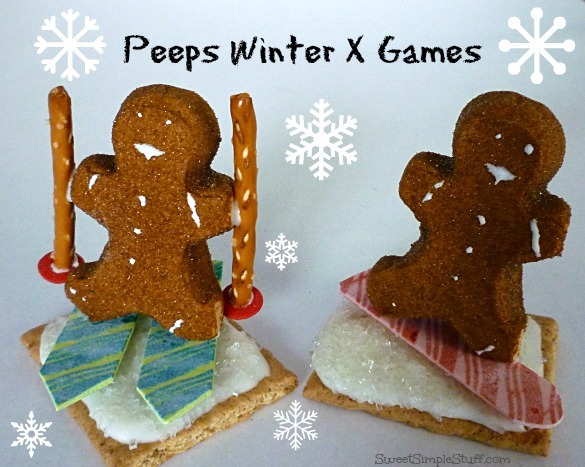 Within five minutes I knew the Peeps would be snowboarding and skiing … they are very athletic little guys! I picked up the Gingerbread Peeps because of their cuteness. When I opened the package, I was surprised how good they smelled … just like gingerbread! Melt candy coating according to package directions. 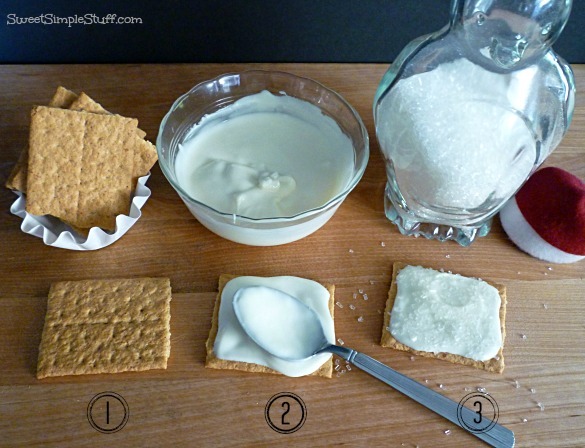 Cut or trim graham crackers if necessary. Spread/smear a little candy on a cracker … I just used the back of a spoon. Let the candy sit a minute or two, but not harden up. Sprinkle with coarse sugar and let candy harden up. Shake off excess sugar and reserve for reuse. 4. Use kitchen scissors to cut Peeps apart. 6. 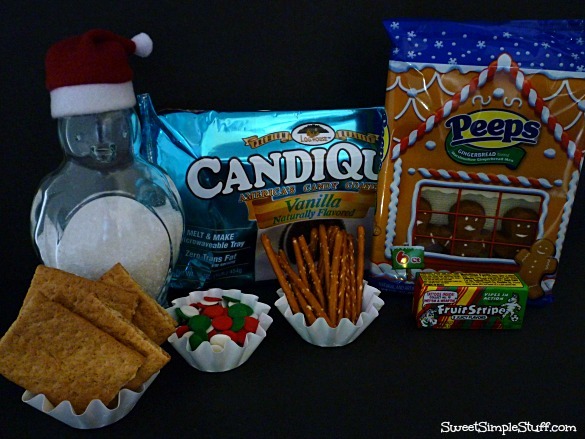 Make ski poles – my pretzels were a little long, so I broke about 1″ off (snacks for later), attach flat end to large sprinkle with a dot of melted white candy. 7. Attach the Peep to the graham cracker with a little melted candy … add more melted candy in the back to support the Peep if necessary. That’s it … pretty easy, wasn’t it? 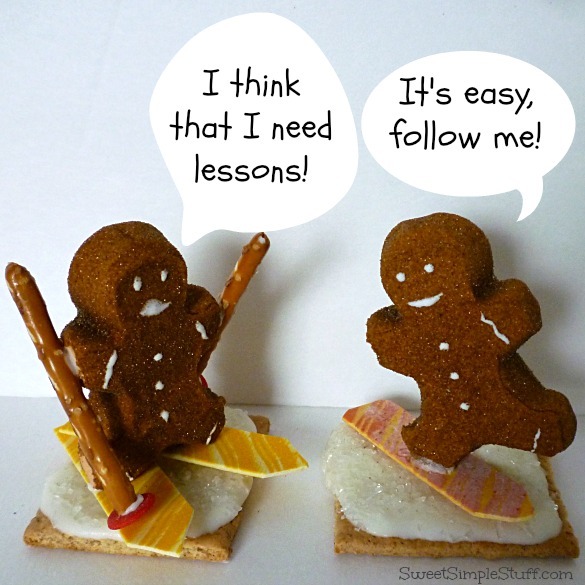 Use the links below to hop from blog to blog to see these wonderful gingerbread themed recipes. 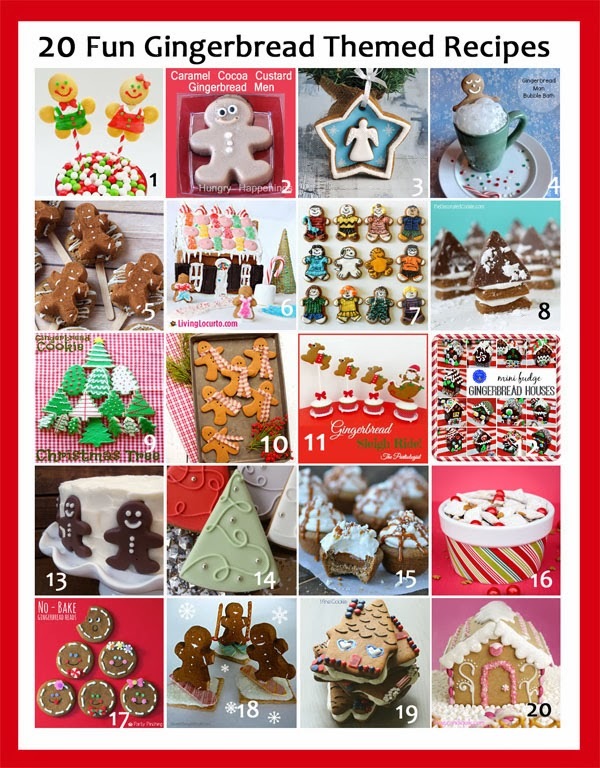 The Give the Gift of Gingerbread Giveaway will run from December 11 through December 17, 2013. Entrants must be US residents, 18 years or older Void where prohibited by law. Enter via the Rafflecopter entry form below. One winner will be chosen to win the entire prize pack and will have 48 hours to respond with their mailing information. If the winner does not respond in 48 hours, another winner will be chosen.